The App Store is home to all the games and apps you can imagine. For every problem you’ve got, there’s probably an app to help you find a solution. And a game to distract your attention from your daily routine. All the arcade, and board-games you used to love as a child have found their home in the App Store. And all the classics are being reinvented each day, becoming more fun, user-friendly, creative, and, basically, just really, really cool. 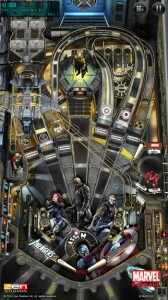 Marvel Pinball is one of these games, and since it’s App of the Week in the App Store, you can now download it totally free of charge. 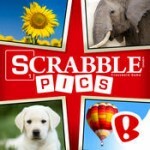 If you really like Scrabble, then you need to give Scrabble Pics a try. It’s new, fresh, challenging, and so engaging. I never thought Scrabble could get any more interesting, but this game is living proof that it could, and it did. Being able to mix tunes, and discover incredible sounds from the comfort of your home has become more and more easy to do. All thanks to some really cool and intuitive apps that make mixing music look like something a kid could do. And Pacemaker DJ is one of these apps. The newest, freshest, and definitely noteworthy app of this week. The goal of Pacemaker DJ is to help you mix your favorite songs in the easiest, most comfortable possible way. 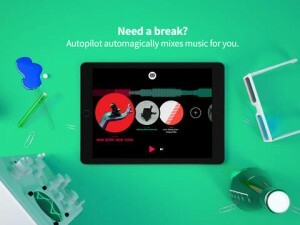 Choose a song from your playlist, the Pacemaker DJ Playlist, or buy a new song from iTunes, or Spotify, and start mixing. Change the Tempo, or Nudge of your song. And add cool effects like Gain, Treble, Bass, or Middle. Not quite what you’re looking for? Then spice things up a bit by adding another song in the mix. 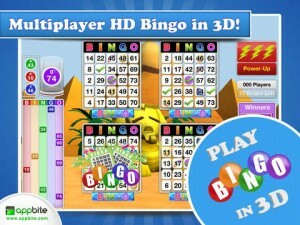 When I hear Bingo, I think about grandmas and grandpas, all gathered together for a fun game night. It’s not something I would have imagined playing until I became a grandma myself. So, I was a bit skeptical, at first, about trying out a Bingo game. But you know what? I think they should also start showing other people playing Bingo in movies. Because Bingo by Appbite is anything but old. It’s fresh, fun, and can literally be played by any person, no matter the age. Click here to get the bite on - Who’s Got Bingo? If you’re trying to find something to put a smile on your face at the beginning of this year, search no more: Looney Tunes Dash! is exactly what you’re looking for. Fun, creative, beautifully designed; it is definitely the best game i’ve played since the year started. Ups: Looney Tunes Dash! is a level-based endless runner. Which I find to be absolutely great! 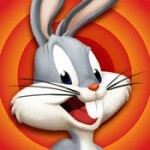 After all, we’re talking about the hectic, constantly moving Looney Tunes characters, so what better way to put all this in a game, if not with an endless runner. And it’s level based, which is so cool, because it’s not about running as much as you can, faster and faster, until you can’t see straight anymore. It’s more about completing goals. And there’s always something new coming up. If you’re looking to start the year with a challenge, then Icycle: On Thin Ice is the game for you. Mind-bending, with an extremely beautiful design and plot, Icycle surprises with every step you take forward throughout the game. It’s magical, creative, complex, complicated, and totally free of charge to download this week. 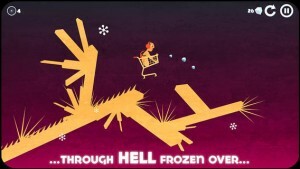 Because Icycle: On Thin Ice is App of the Week in the App Store. Word games are catchy and smart. Scrabble and Words with Friends are just a couple of examples. But what if a word game had an actual story to it? And you wouldn’t just make up words to score points, but also to take the story further away. 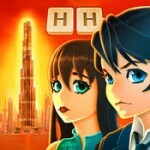 That’s the idea behind Highrise Heroes – The Towering Word Game. And I find it pretty cool.